Note these differences between architects and designers. You will probably have a choice when you look for someone to help design your remodeling project. The most likely candidates will be architects or designer-draftsmen. Architects are licensed by your state. 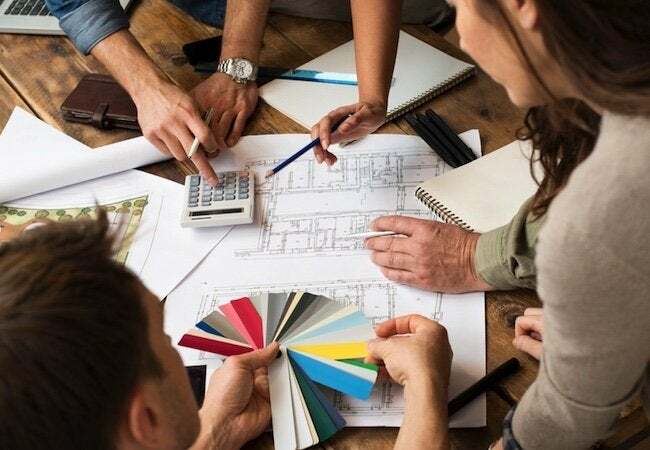 Typically, an architect has passed a licensing examination, has at least a bachelor’s degree in architecture, and has spent three years working in an architect’s office. A registered architect must take legal responsibility for his or her work. The architect’s formal training involves a varied and complex curriculum. Courses such as strength of materials are just as important as those in design. The architect must know not only how materials look, but how they are used. As a result, he or she should be able to advise you on what materials distinctions really mean (e.g., hardwood versus softwood floors, porcelain-iron or fiberglass bathtubs, etc.) and devise appropriate solutions to the sorts of challenges remodeling older structures often present. The architect can help engineer structural changes, too. There are no licensing requirements for designers in most states. Theoretically, anyone could hang a shingle out tomorrow and call himself a designer. As a result, it is doubly important that you thoroughly establish the experience and proven abilities of a designer before making your hiring decision. As a rule, home designers are less expensive than fully trained and licensed architects. But many specialize in certain kinds of work and bring much practical experience to certain tasks. Kitchen designers, for example, design nothing but kitchens; space planners often do commercial, office, or retail spaces. Your carpenter can also be your designer. For a kitchen renovation, you may find a design consultant at your disposal at one of the “big box” houseware stores. Some of them can very efficiently slot their own cabinets and fittings into a software program and redesign an existing space. You may find plans for similar renovations in books, magazines, and other sources that, in collaboration with your carpenter, you can copy. Yet in many of these cases, too, you’d be better off paying for a few hours of design time to make sure the pieces of the puzzle fit together. I need to add, however, that degrees and titles rarely tell the whole story. I’ve heard a lot of horror stories about highly trained but incompetent architects. On the other hand, one of the best remodeling designers I know is a sometime contractor who, having immersed himself in historic architecture and long acted as an intermediary between clients and architects, finally threw up his hands and said, Hey, I can do that better than those guys can! And he does. Find a designer you can afford, whose skills are in proportion to the job you want done, and with a style that suits yours.